Lack of awareness about vision health is one of the areas that needs to be seriously addressed to prevent blindness. 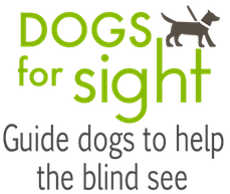 According to the World Health Organisation (WHO), 90% of the world’s visually-impaired individuals come from underprivileged communities and uncorrected low-vision problems, known as refractive errors, are the second most preventable cause of blindness worldwide. Refractive errors refer to vision problems that could be corrected with prescription glasses such as myopia (nearsightedness), hyperopia (farsightedness), astigmatism, and presbyopia (loss of near vision with age). Lack of access to basic eyecare services and products remains a challenge to some of the underprivileged. Central to this statistic is the question of accessibility to prescribed glasses, especially among the rural and urban poor. Save Ones Sight Missions (SOSM) has kickstarted a “Simply See – No More Refractive Blindness” campaign to help underprivileged individuals suffering from low vision, to own a pair of spectacles. In partnership with M&C Saatchi Kuala Lumpur, the non-profit organisation has worked with UK-based Centre for Vision in the Developing World (CVDW) to provide self-adjustable spectacles to those in need, thereby helping them to reduce risks of further vision deterioration. “Our main goal is to prevent and stop unnecessary blindness. 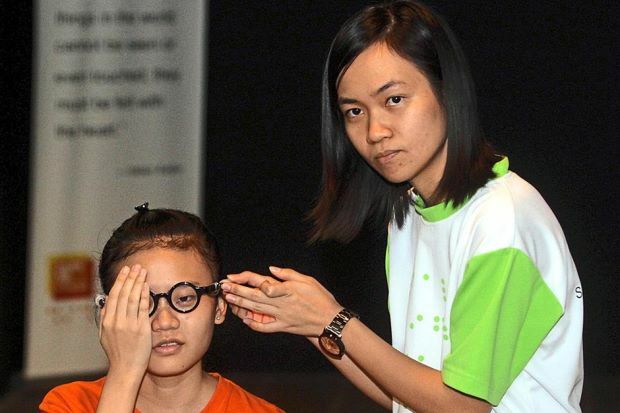 Lack of awareness (about vision health) and accessibility to eyecare services are the main stumbling blocks in the battle against preventing visual impairment and blindness,” said Stevens Chan, founder of SOSM at the launch of Simply See campaign. The self-adjustable glasses, known as Adspecs, is invented by CVDW founder Prof Joshua Silver, a physics professor from the University of Oxford, UK. Malaysia is the first country in South-East Asia to successfully establish ties with Prof Silver, and his team at CVDW, to bring affordable and self-adjustable spectacles to the local communities here. Adspecs allows the wearer to correct his own vision without having a trained optometrist to prescribe eyeglasses, therefore helping community workers to solve common logistical issues for ground arrangement. During the campaign launch, there was a simple demonstration on how to use the self-adjustable eyeglasses with a group of 10 children from Ti-Ratana Welfare Society Malaysia. They were the first to receive Adspecs in Malaysia. A pair of Adspecs holds two special variable lenses that allow the wearer to pump special silicone fluid into it to manipulate the shape of the lens, and adjust its optical power according to that person’s need. It is as simple as turning a dial attached to the glasses frame to pump in more or less silicone, before the screws are tightened to permanently lock in the shape and power of the lens. With these self-adjustable Adspecs, SOSM can effectively and efficiently reach out to the communities in need as volunteers canassist in producing these spectacles on the spot. “Previously, it would take up to one week to deliver a good pair of glasses to the child or senior citizen in need. But with Adspecs, time wastage is no longer an issue” Chan said. The silicone fluid is developed by Prof Silver’s team in the United Kingdom while the frames and lenses of Adspecs are manufactured in China. Chan estimate the cost of each pair of Adspecs to be between RM55 and RM75, and was hoping to raise more funds to achieve the goal of distributing 10,000 pairs by 2015. SOSM will be distributing at least 300 pairs of Adspecs to the poor in Kota Kinabalu, Sabah, from Oct 22 to 27. “Sabah was chosen to kickstart the Simply See campaign because SOSM wants to take the opportunity to reach out to the community there,” Chan said. The organisation will also be working closely with the United Nations High Commissioner for Refugees (UNHCR) in Malaysia, by providing them the necessary training to assist refugees in using Adspecs. Individuals or organisations interested to support this campaign to aid those in need can contact Chan at 6012-2035410. 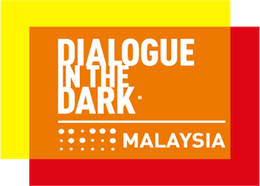 UNHCR country representative in Malaysia, Richard Towle and UNHCR health officer Dr Susheela Balasundaram were present at the launch held at Dialogue In The Dark experience centre in Jaya One.